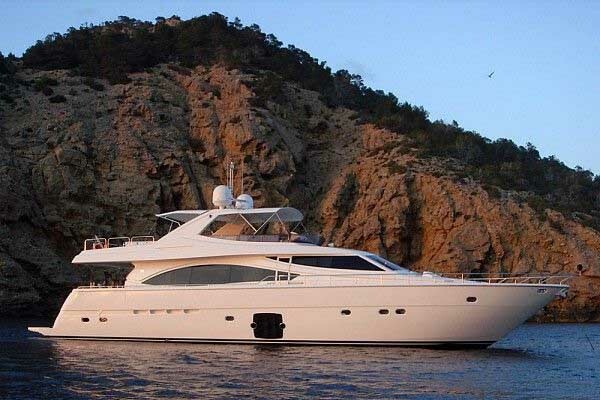 Luxury motor yacht UNFORGETTABLE was delivered by Ferretti yachts in 2006 and measures 25.3m (83ft). 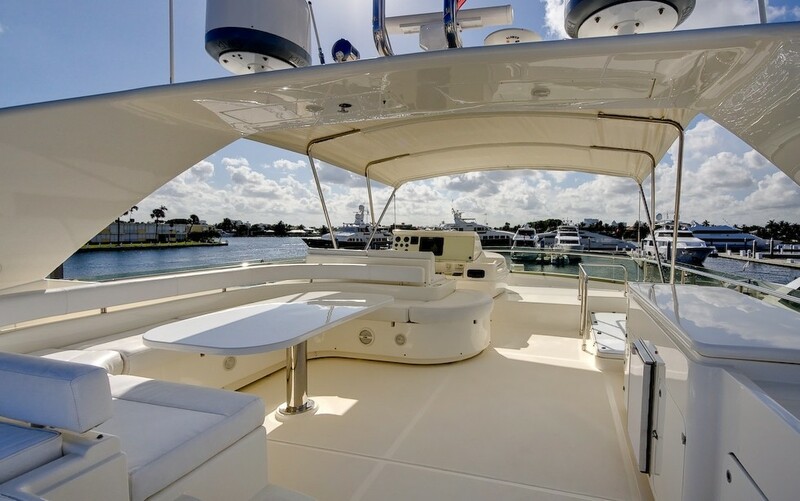 Offering deluxe accommodation for up to 6 guests, yacht UNFORGETTABLE is available for Caribbean’s Virgin Islands and Leeward Islands yacht charters. 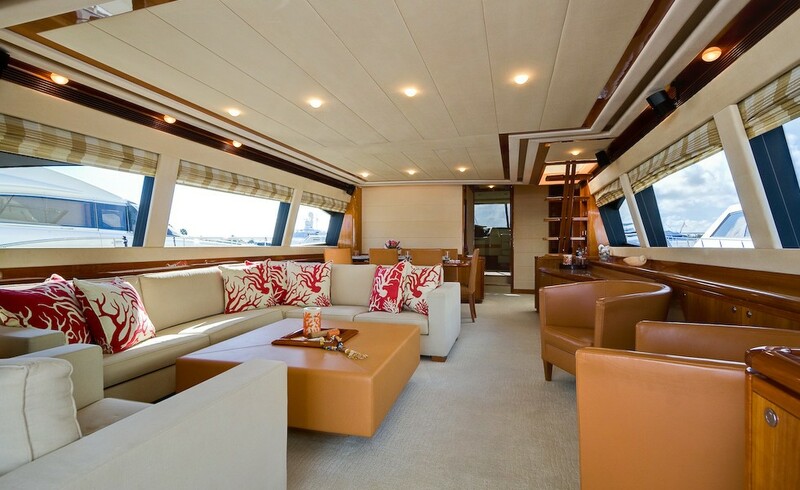 Crewed yacht UNFORGETTABLE features a neutral interior décor with soothing earth tones and plenty of natural light. 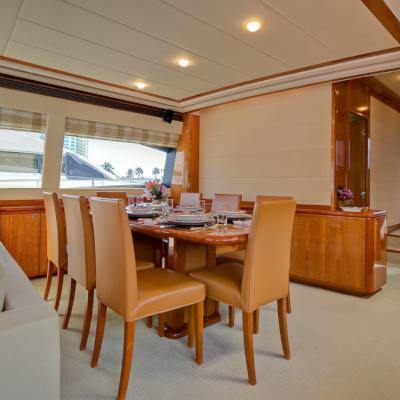 The salon and dining is an open plan, offering the lounge space aft, with a sofa, occasional chairs, coffee table and full entertainment system. Forward, the formal dining table easily seats guests in comfort. 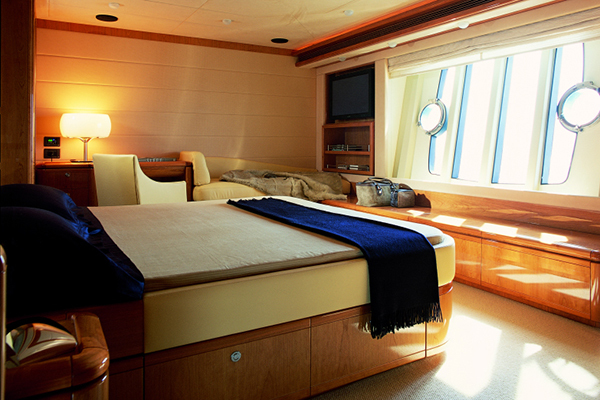 Guest accommodation is below decks in 3, spacious en-suite cabins. 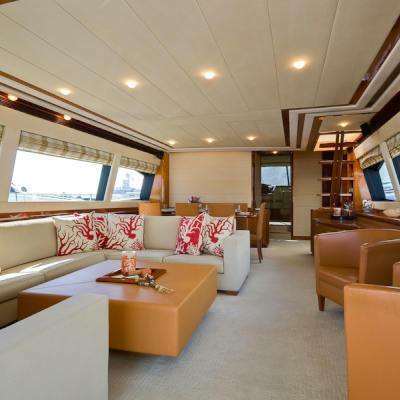 While cruising the idyllic Caribbean waters, exterior living is paramount and motor yacht UNFORGETTABLE is ideal. 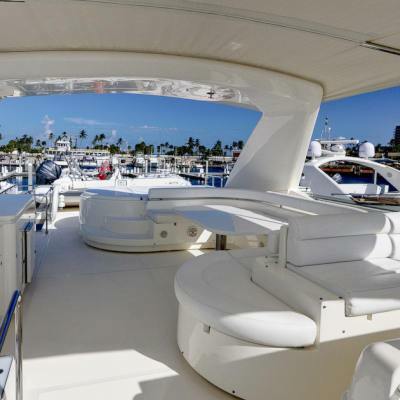 The aft deck is adjacent to the salon, through sliding glass doors and boasts a shaded alfresco dining area and seating. 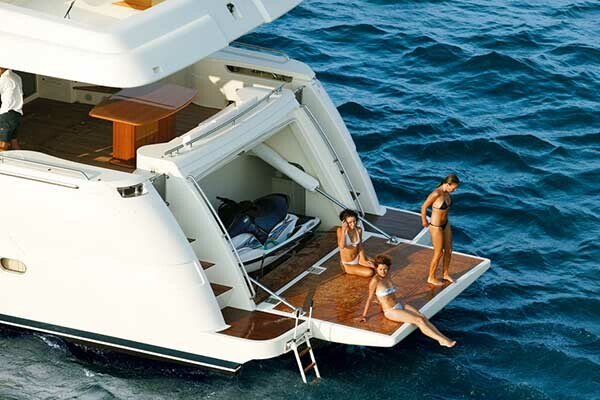 Beyond the aft deck, steps lead to a hydraulic lowering swim platform, great for water enthusiasts. 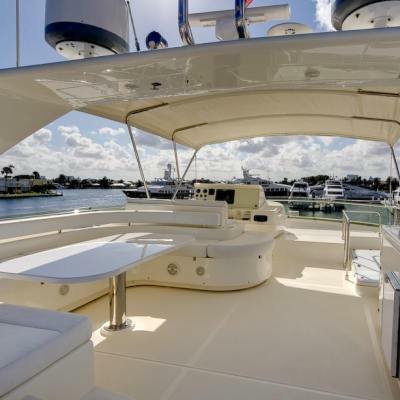 With 360° wrap around decks, M/Y UNFORGETTABLE provides a fabulous foredeck and massive sunpad. 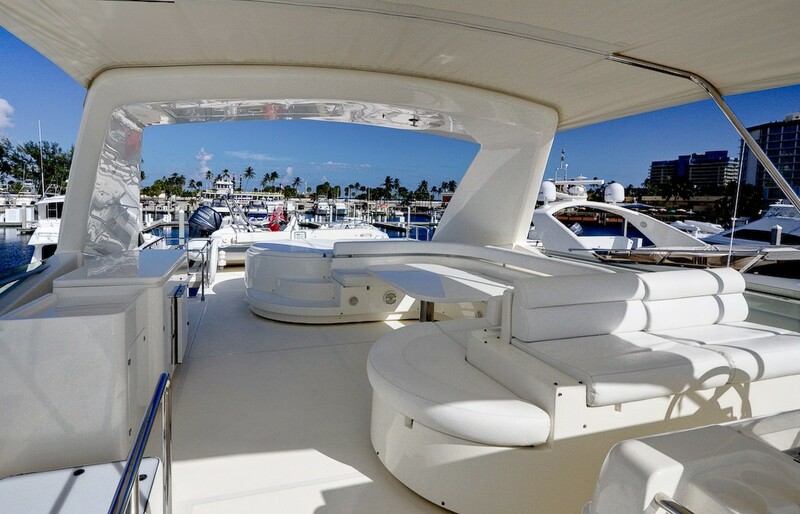 Above the main deck, the yacht boasts a generous flybridge, complete with partial shade, sunpads, seating and an alfresco dining option. Powered by 2 x 2000hp engines, the UNFORGETTABLE motor yacht cruises effortlessly at 25 knots, while reaching top speeds of 33 knots. 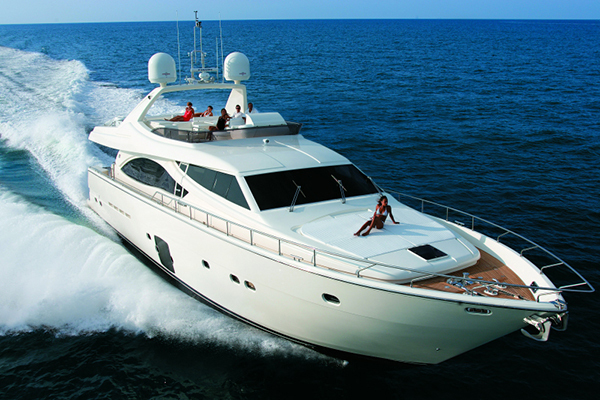 Luxury charter yacht UNFORGETTABLE offers 3 en-suite cabins, for up to 6 guests. The master stateroom is amidships and features a king size bed and large en-suite, with panoramic windows for optimum views. 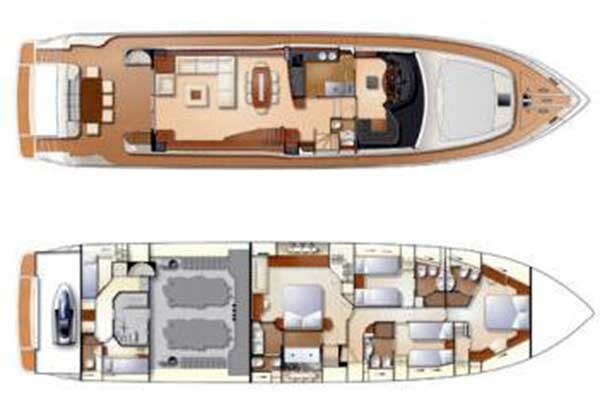 Forward and full beam of the yacht, is the VIP cabin with center lined double bed. A further guest cabin offers 2 side by side single beds. 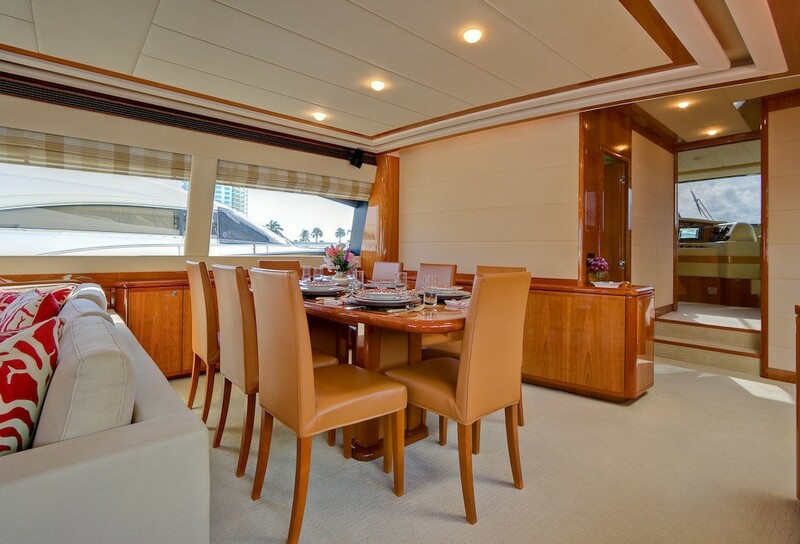 M/Y UNFORGETTABLE has full air conditioning throughout.